Give someone you like this thoughtful gift voucher. Suitable for someone you know who is leaving work or is celebrating a birthday: a boat trip on board Belle-Amie around the beautiful archipelago! Order a gift card: just choose an amount and then give us a call or send an e-mail. The card is a voucher for a boat trip of your choice and is valid for two years from the date on the card. Click on the gift card for larger format. Please see the maps on this page. If you come by car Take route 155 to Lilla Varholmen, where you take the ferry towards Öckerö which goes to Hönö. The ferry is free of charge. Click on the map for larger format. 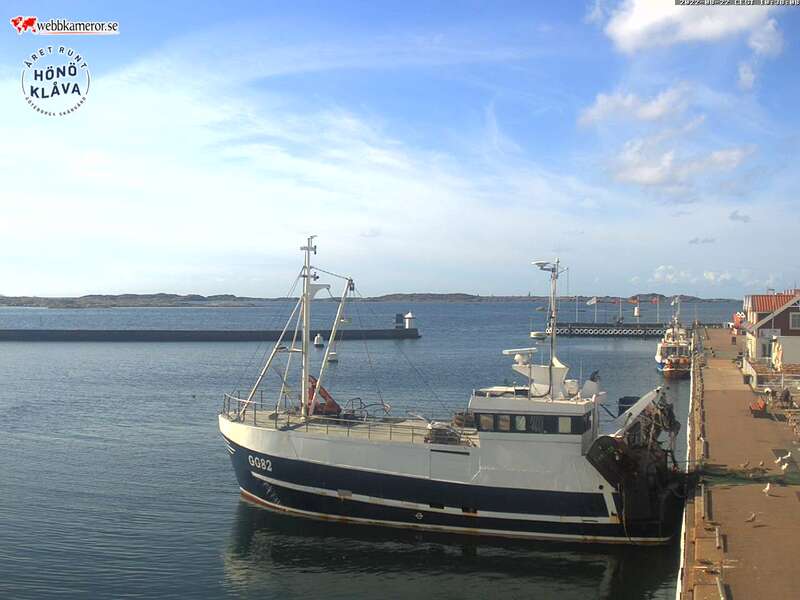 Click on the webcam to watch the weather now at Hönö Klåva and the quay where Belle-Amie is located May-September. Note it is updated every minute.